Kart Stars is a fun new racing game inspired by real karting. The app is free and the game is an absolute blast! 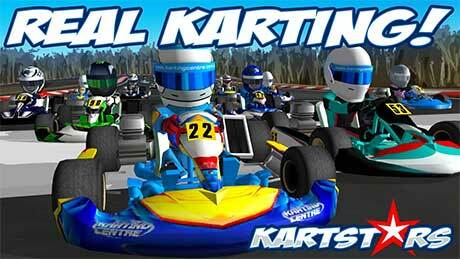 Developed with real karters to mix the authenticity of the real karting with the fun of go-kart style racing games. 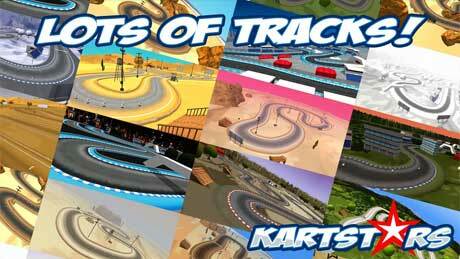 Race over 30 different tracks on your way to the 300 round world karting championship! 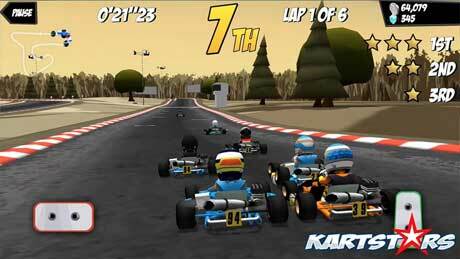 Jump behind the wheel and race over 45 real kart stars or create your own driver from a huge customized selection. Collect coins, beat the clock and multiple race formats including sprint / endurance. CUSTOMIZE AND UPGRADE YOUR KART! Over 45 Karts including Vintage, Sprint and Super Karts with tons of options to customize and upgrade. Race around the world with environments from night, city, snow and ice to the red desert! Use engine blueprinting or New tire boosters to help you win difficult rounds. Compete and share your progress through Game Center and Facebook. Race over 30 Tracks in a massive 300 round world championship season. FAST AND FUN TO PLAY! Feel the rush as you speed round the track learning the techniques of karting as you cross the finish line.